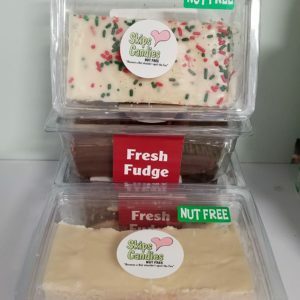 Home Made Fudge in our shop. There are 24 flavors to choose from however only a few are available online. 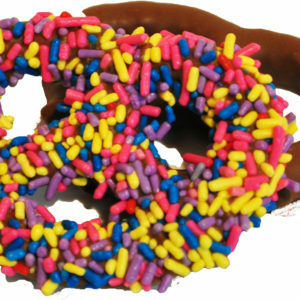 Please call us for other flavors that may available at the time of your purchase. (some are seasonal only flavors). Weights are approximate and may be slightly higher or lower. Freezing: Wrap whatever size pieces you desire first in Plastic Wrap then Tin Foil. Fudge will be fine for 6-12 months. Defrost: Let fudge return to room temperature before removing either wrapper. 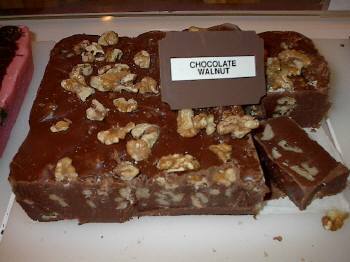 Fudge should not be refrigerated – it will only dry out more quickly.